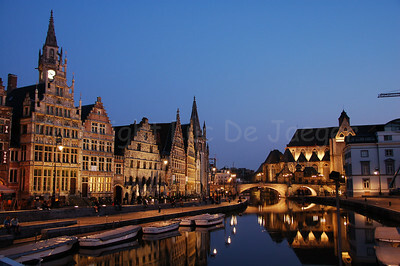 Updated January 30, 2011 (added the last 11 images). 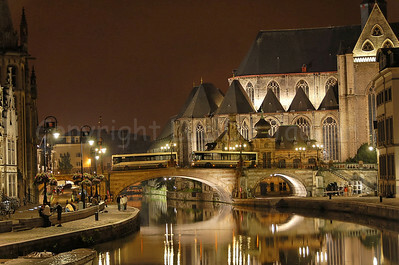 In this gallery you can find night images of the City of Ghent (Gent) in Belgium. 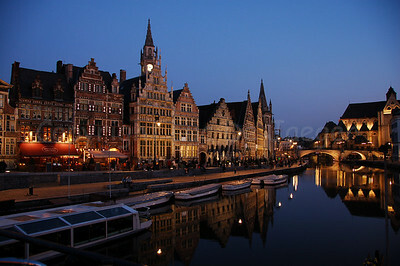 Also take a look at my other Ghent/Gent gallery full of images captured by day. 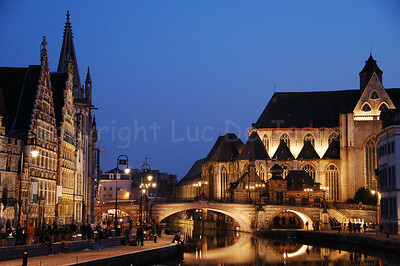 Please note that Original formats are not enabled to protect my images from theft. 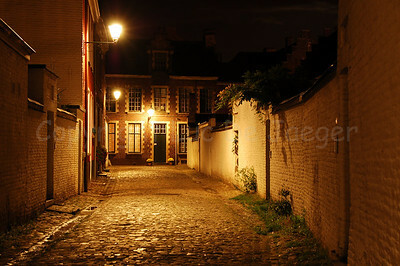 To further protect my images they are watermarked. 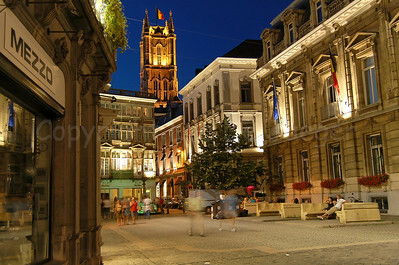 Watermarks will not appear on prints or gifts/merchandise you buy! 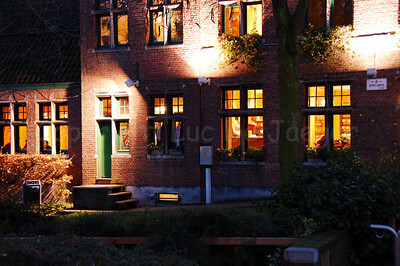 Evening shot in the neighborhood of the Gravensteen Castle. 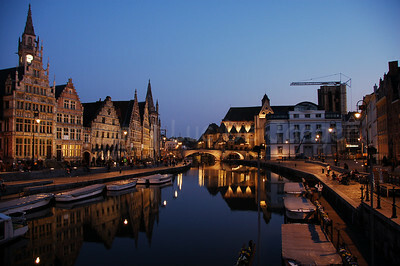 Night shot in the centre of Ghent (you see the St. Michielsbrug -- St. Michael's bridge in the neighborhood of the Korenmarkt -- "Corn Market"). 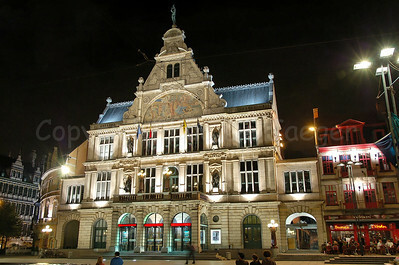 NTGent (Nederlands Toneel Gent) theatre on the St-Baafsplein in the centre of Ghent (Gent). Lakenhalle (en Belfort) (Cloth Hall, built between 1425 and 1445, and Belfry) in the centre of Ghent (Gent). 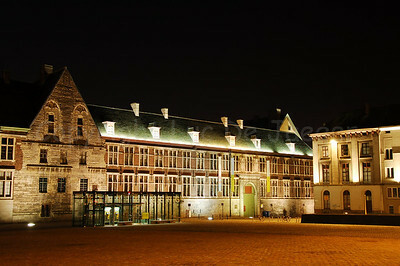 Night image of the Our Lady Ter Hoyen beguinage, one of the three beguinages in Ghent. 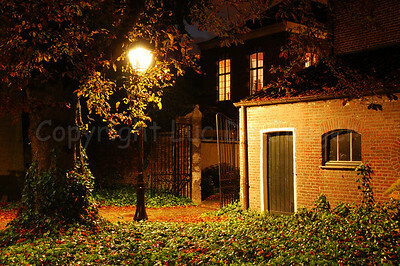 This beguinage is situated in the centre of the city and is an area of tranquile rest and peace near busy streets. 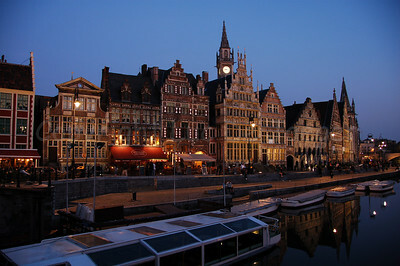 The First Quarter Moon is shining through the clouds. 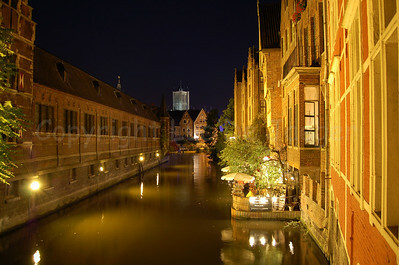 Night image of the Our Lady Ter Hoyen beguinage, one of the three beguinages in Ghent. 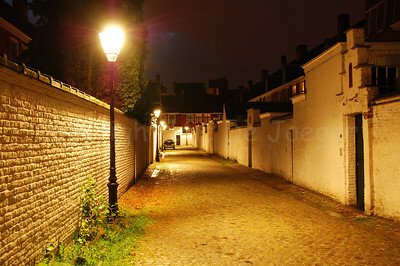 This beguinage is situated in the centre of the city and is an area of tranquile rest and peace near busy streets. Night image of the Our Lady Ter Hoyen beguinage, one of the three beguinages in Ghent, Belgium. 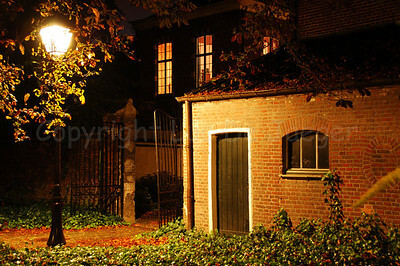 This beguinage is situated in the centre of the city and is an area of tranquile rest and peace near busy streets. 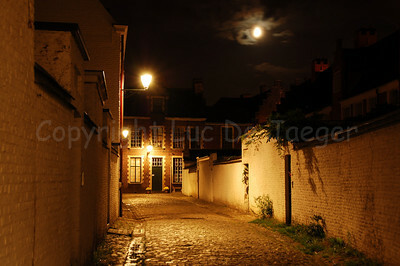 Night image of the Our Lady Ter Hoyen beguinage, one of the three beguinages in Ghent (Gent), Belgium. 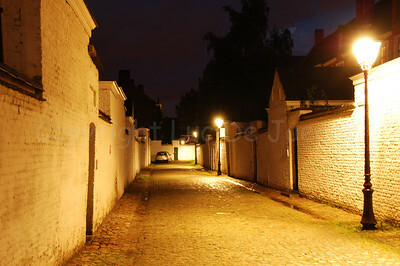 This beguinage is situated in the centre of the city and is an area of tranquile rest and peace near busy streets. 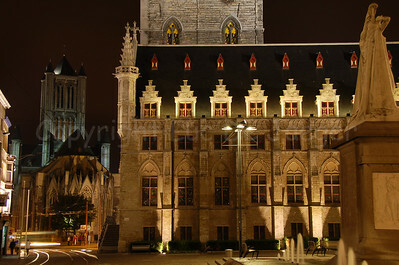 Abbey of St. Pieter (St. Pietersabdij) in Ghent (Gent), Belgium. 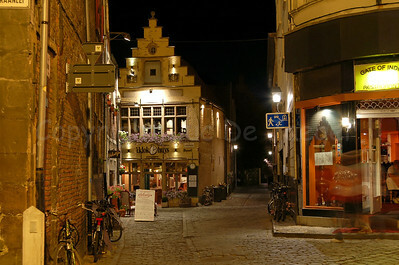 Appelbrugparkje, a side-street of the Jan Breydelstraat (Jan Breydel Street) in Ghent (Gent), Belgium. 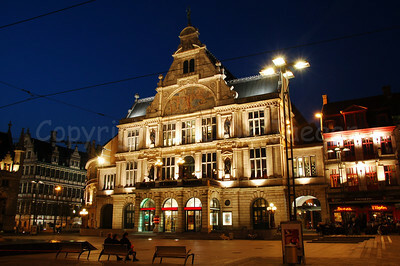 NTGent (Nederlands Toneel Gent) theatre on the St-Baafsplein in the centre of Ghent (Gent), Belgium. 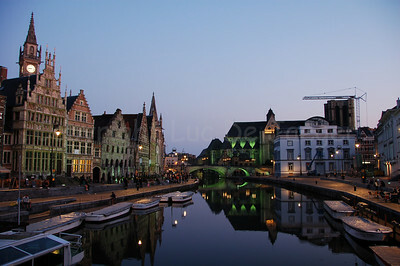 Evening shot of the St Michielsbrug (St Michael's Bridge near the Corn Market, Korenmarkt), Graslei and Korenlei in the city of Ghent (Gent), Belgium. Evening shot of the Graslei in the city of Ghent (Gent), Belgium. 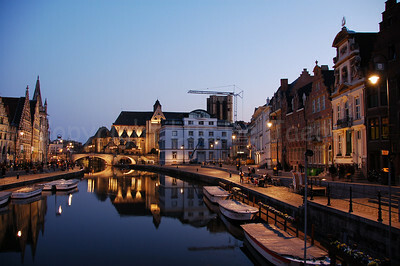 Evening shot of the St Michielsbrug (St Michael's Bridge near the Corn Market, Korenmarkt) and Graslei in the city of Ghent (Gent), Belgium.